Attorney Susan Gwinn has been representing thousands of clients in the Athens, Ohio area for years. She has the experience you can count on when it comes to criminal and traffic offenses, legal services and much more. With her ability to stand by your side no matter what, Susan Gwinn is the attorney in Athens that you can trust. If you're looking for a well-versed DUI & domestic violence lawyer, you've found her. Your emergency is Susan Gwinn’s emergency. Call her office and speak with her in person. She will quickly assess your case and tell you what she can do for you. Athens' leading attorney, Susan Gwinn will tell you the cost of the procedure and the likely outcome and treats your case as if it were her own. Susan Gwinn is licensed to practice law in Ohio, US Federal District Court and in the United States Supreme Court. Susan is a legal author and belongs to numerous legal associations. Susan attended Ohio University and the University of Toledo, College of Law. Susan has served as an Assistant Ohio Attorney General and served on the Athens County Board of Elections. 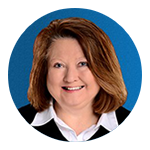 Susan is a member of the Athens County and Ohio State Bar Associations.